Join us for Easter Weekend and enjoy a menu featuring craft cocktails and food inspired by springtime! 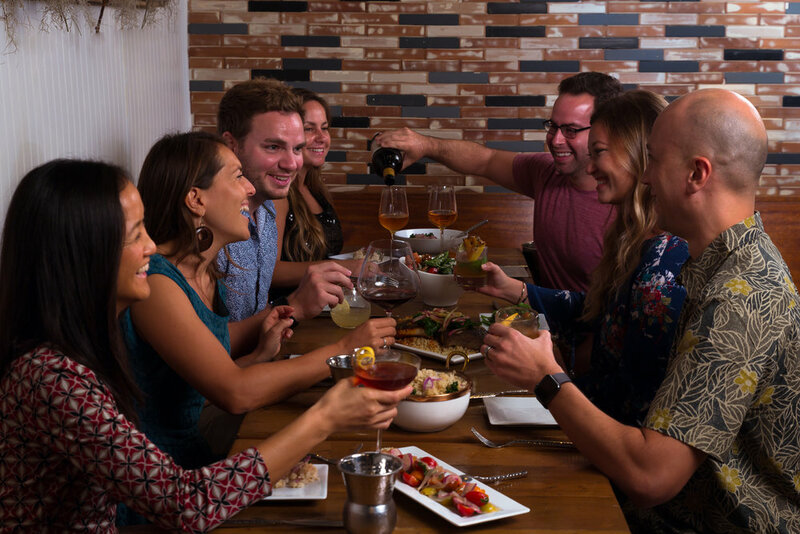 Join us for a love inspired meal, celebrating island bounty and the joy of imbibing. Reservations are available for Valentines Dinner on February 14th or skip the crowds and join us February 15th and 16th for a belated Valentines Day Celebration. Reservations highly recommended as walk-in seats will be extremely limited. Bring It On 2019 - Tea Kiki! In collaboration with the T-We Tea Team, The Nook is hosting a Bring It On 2019 - Tea Kiki! January 1st beginning at 5:30 PM join us for tea, mocktails, pupus and vision board making! The Nook Elves have been busy working up a tropical winter wonderland! December 21st, 22nd and 23rd, 6PM - 9PM. Don’t delay or you’ll miss the sleigh! Join us for an evening to remember! Rustic Italian Food and Wine meets island flair! In Partnership with Young’s Market Company an Italian inspired dinner by Anicea Campanele of The Nook paired with Italian Wine selected by Patrick Okubo, Master Sommelier. A Mexican inspired dinner by Anicea Campanele of The Nook paired with craft cocktails created by Raymundo Delgado from Stripsteak Waikiki.